This week I was drawn to the subject of fashion and its influence on interior design. So it seemed fitting to end the week with a must read book! 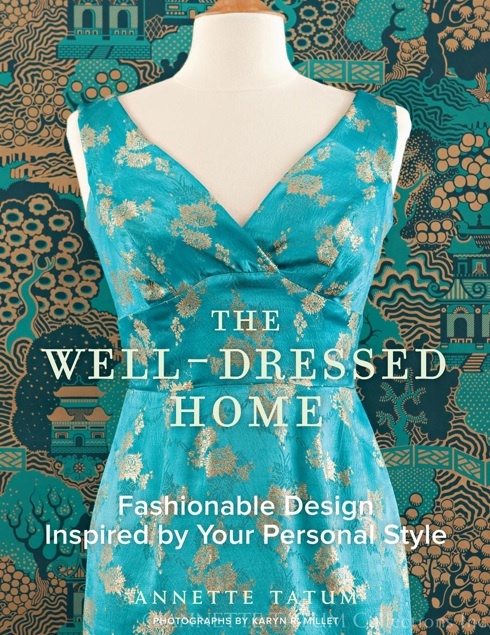 "The Well Dressed Home" seems to wrap up this week nicely! I was very excited to receive my signed copy yesterday, and couldn't wait to start reading! 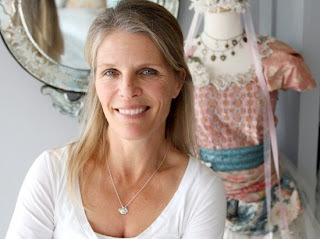 The author "Annette Tatum" has blended one's fashion style with their interior style! She effortlessly gives you a quick reference guide to basic style categories: romantic, couture classic, casual, bohemian, retro, resort, modern, eclectic, vintage and eco. 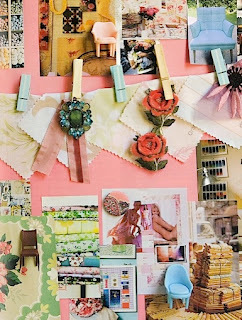 With these styles she has created beautiful inspiration boards that look like little works of art! Each one gives you an idea of how to work your style into a room that represents you. The book is easy to follow and the layout and photography is beautiful. I cannot recommend this book enough! If you are looking to that coffee table book that you will actually read, please pick up "The Well Dressed Home"! Not only is it informative the book cover itself is wonderful to look at! Annette Tatum also has created the stores: House, and Little House! Both have wonderful items, fabrics, furnishings for the home and little ones! Have fun reading and shopping this weekend, and maybe create a board for yourself based on your wardrobe or dream wardrobe! Design board of inspiration of Vintage Casual !